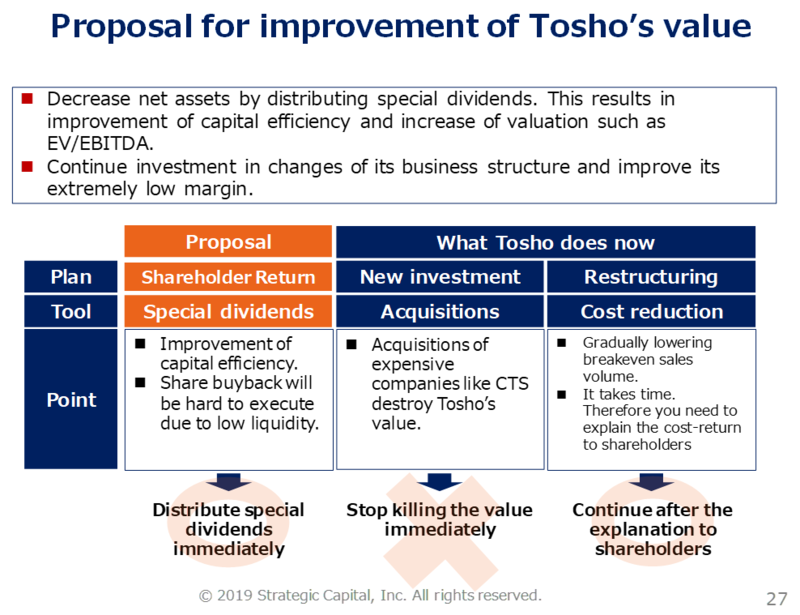 Our latest dialogue with Tosho | Improve Tosho’s shareholders’ value Strategic Capital, Inc.
As a response to Tosho’s release on 5th November 2018, we have discussed with Tosho regarding the latest acquisition of CTS (communication Training Support). 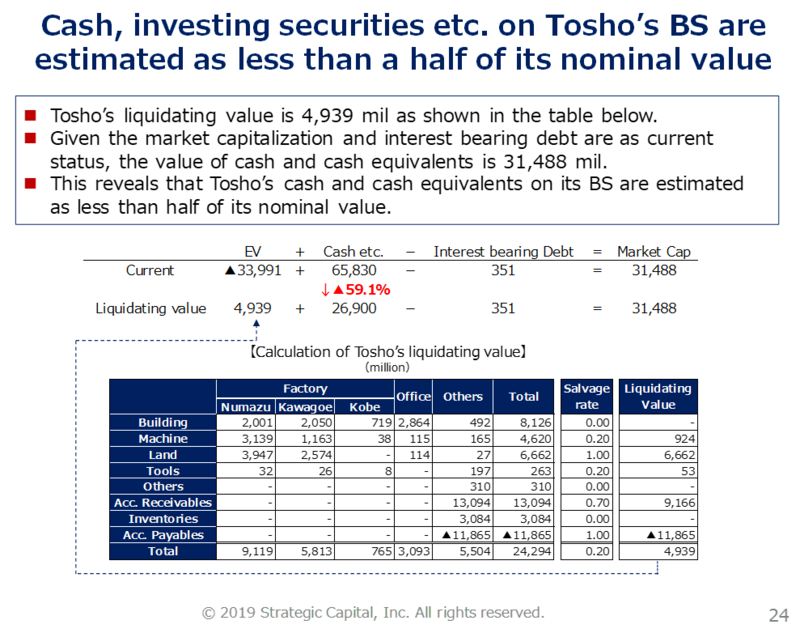 We are apprehensive that such an acquisition destroys the value of Tosho. Followings are parts of our presentation materials in the dialogue. 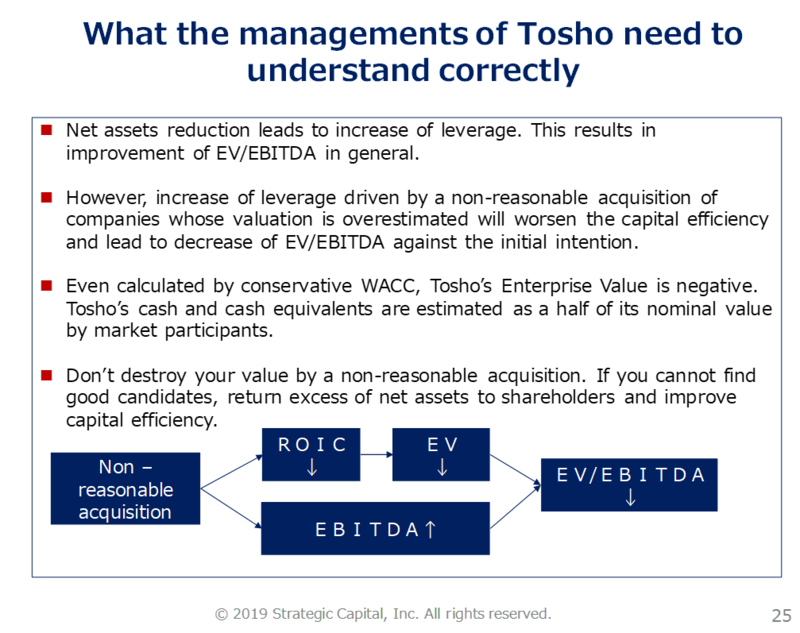 We have analyzed Tosho’s acquisition as followings. The point is that an acquisition of a company with low capital efficiency may increase acquirer’s profit but low capital efficiency leads to low ROIC and decrease of acquirer’s enterprise value.